Alcoholism – David Jenkins, Psy. D.
Alcoholism is the most common and costly addiction. 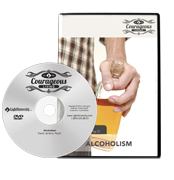 This session is intended to help those who struggle with alcoholism understand the signs and symptoms, its characteristics and effects, and, more importantly, treatment considerations. Recovery for you or your loved one is possible with God’s help and making the right choices.